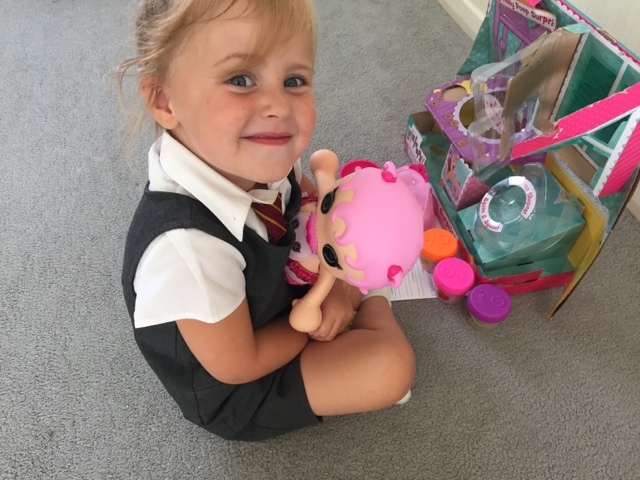 My girls were recently sent a new doll to play with, the Lalaloopsy Potty Surprise doll, a new addition to their Sew Cute range. 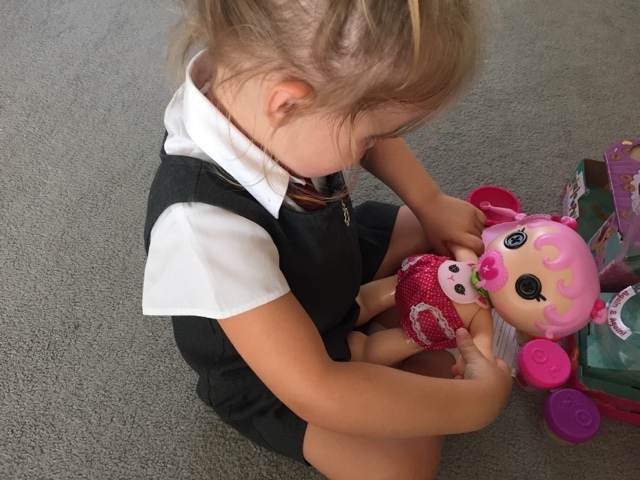 We actually have a couple of Lalaoopsy dolls already in our house so I knew that this would be a big hit, at least with my youngest two. This doll is definitely full of surprises. 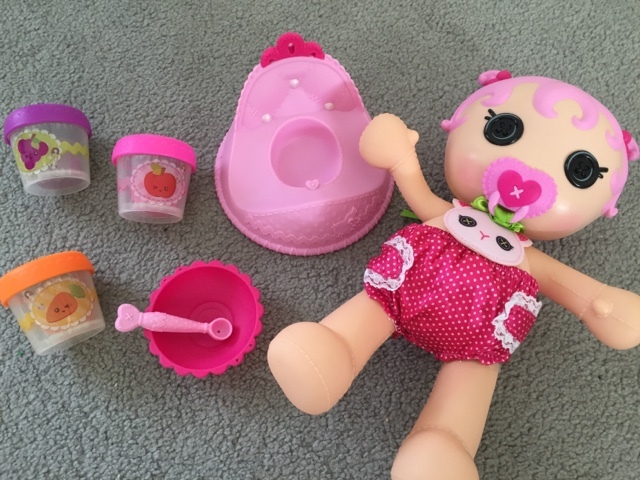 Coming complete with a potty, food, bowl and spoon, Lalaloopsy is both colourful and cute and immediately appealing to little ones. 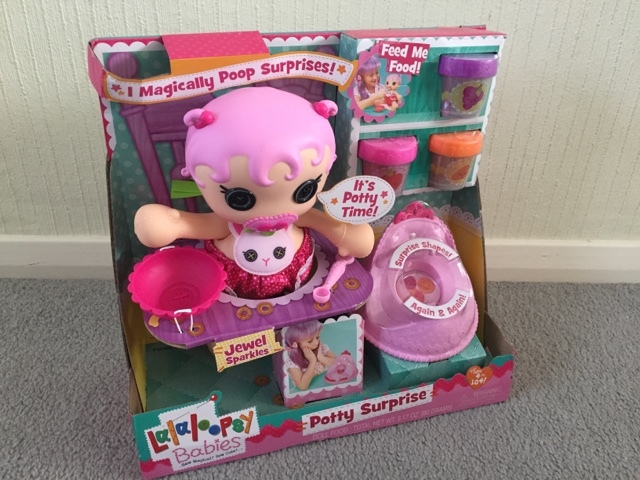 The idea is to feed Lalaloopsy the food and she will then 'magically' poop out some surprises. 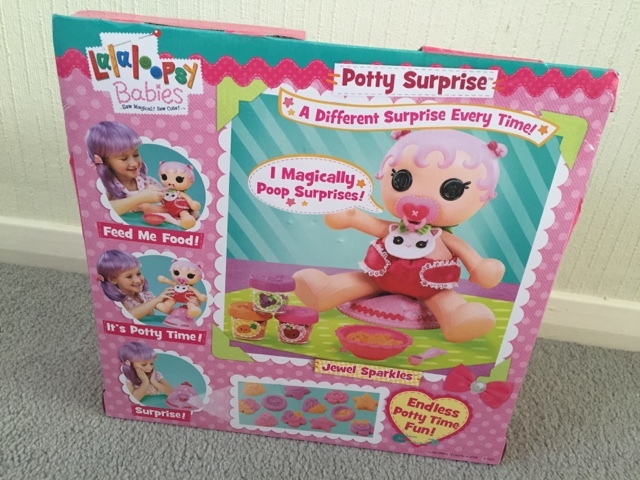 Normally the idea of poop when used with toys doesn't appeal to me but the fact that what actually comes out are colourful little shapes, I sort of relaxed a little at the thought of it because actually the shapes and colours mean that your child/ren can be learning as they play. 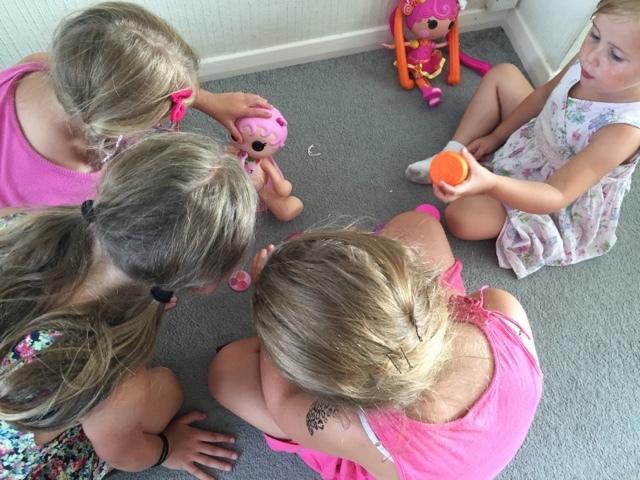 My girls all enjoyed playing with her and they range from the ages of 4 right up to 10 so you know the toy can appeal to a wide range of kids, the packaging does state from 4 to 104 so maybe I should test this out with the grandparents too? 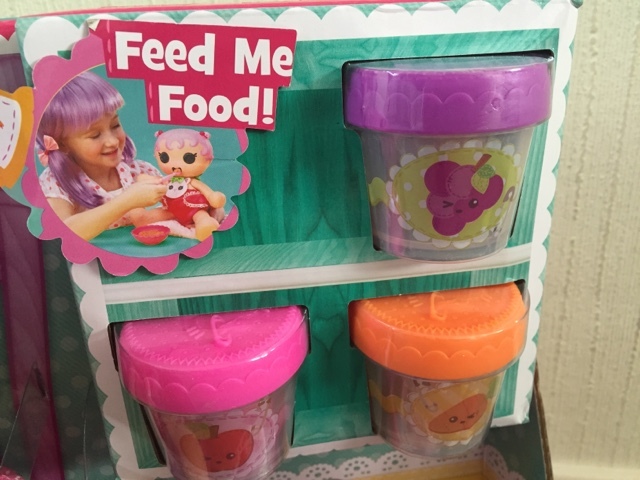 What I like is that the doll can be used with or without the 'food' provided, my youngest has taken to pushing her around in her toy pushchair. 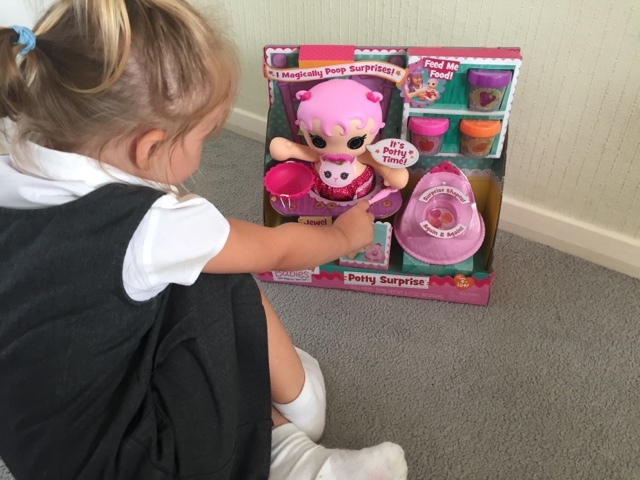 Lalaloopsy also comes with a nappy or diaper as stated on the packaging (slightly annoying) and a dummy so there is plenty of opportunity for pretend play, this I love as I believe kids should make the most of their imaginations. Then there's the added bonus that every parent will love, no batteries required which also means a toy that doesn't make noise! 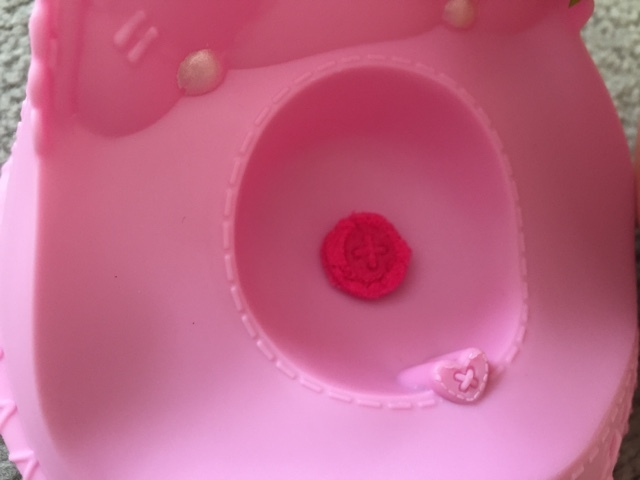 Now as much as my girls loved this toy I personally had a couple of issues with it. 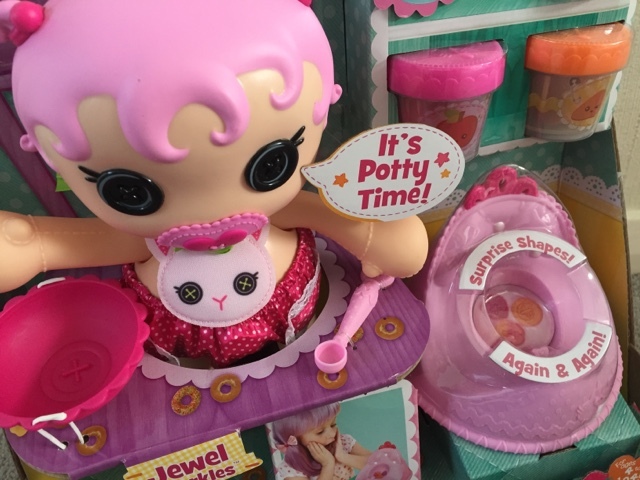 The concept of the doll eating and going on the potty is fairly simple but putting it into action was a little more complicated. My girls had no problem with feeding her but the motion of getting the 'poop' out was a little difficult, my youngest two struggled to do this without adult supervision. I'm hoping it is purely because the toy is new and a little stiff and that it will all become a little easier with more use. My other issue is cleaning the doll out. You have to screw and unscrew parts in order to be able to do this, I would have preferred if something simply unclipped for example . This is purely my opinion and of course doesn't affect how the kids play with the toy. 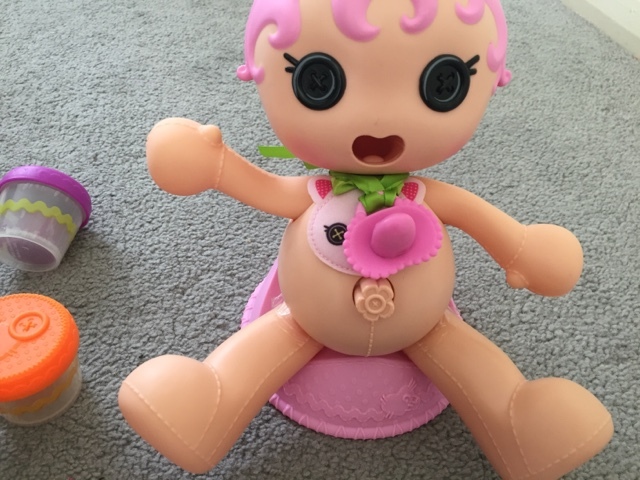 Overall the Lalaloppsy Potty Surprise doll is bright, fun and entertaining. 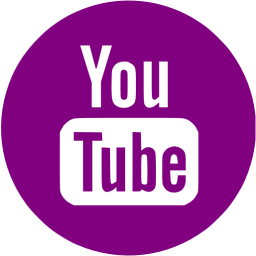 Kids can learn about colours and shapes as they play as well as putting their imaginations to the test. Priced at £29.99 I can see it being on a lot of Christmas lists this year. 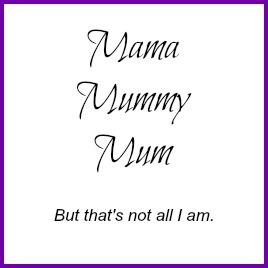 My youngest has has been taking about a potty suprise doll that she wanted for Chirstmas.. this must be it! 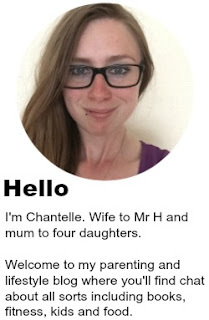 Thanks for the review, really useful. I'm sure she would love the doll and I'll be prepared for the clean up operation!